BT Sport has today launched a new advertising campaign ahead of the new Premier League football season, showcasing the full range of top flight sport available across its channels. This season is set to be the best yet on BT Sport with all UEFA Champions League and UEFA Europa League matches exclusively on BT Sport, more FA Cup and women’s football, all of the rugby Heineken Cup and more boxing than ever before. The new season’s campaign will kick off with a TV advert that follows a sports-mad schoolgirl named Charlotte. The TV ad follows Charlotte throughout her day as she imagines taking on and getting the better of her favourite sports stars – all set to the Britpop anthem ‘Connection’ by Elastica. Demonstrating the range of sport customers can look forward to this season, the advert features an impressive array of talent from across the sporting world including Gareth Bale, Dele Alli, Jesse Lingard, Steph Houghton, Sam Warburton, Johanna Konta, Cal Crutchlow, Billy Joe Saunders, to familiar BT Sport pundits Frank Lampard, Rio Ferdinand and Jake Humphrey. The campaign will launch on TV on Wednesday 1st August and will be supported by online video, outdoor, print, radio, cinema and social media. The TV ad will also be shown in 4DX in 4DX cinemas across the UK. 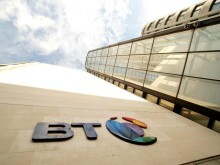 It continues BT’s move towards more emotional storytelling and carries the Be There brand line. The ad was produced by AMV BBDO and directed by Fredrik Bond from Sonny London, with media planning by Essence.